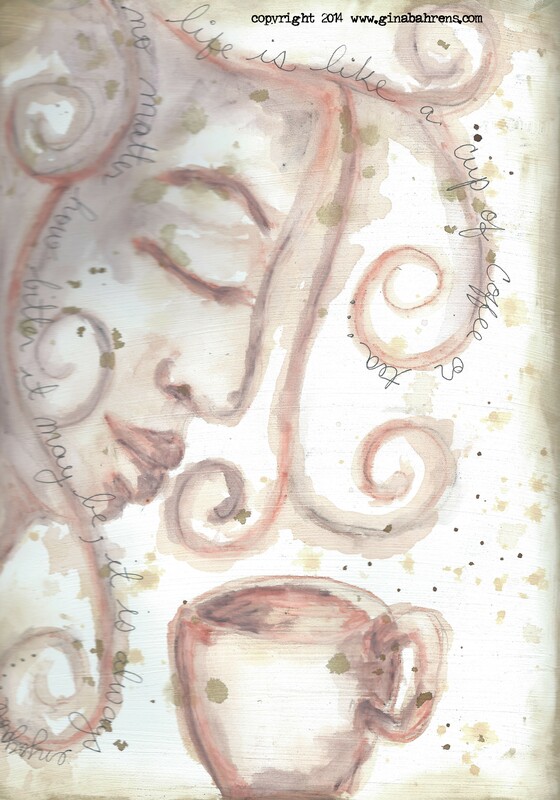 December Week 1 Prompt – Coffee or Tea? Coffee or tea? Which one is your drink? Can you pick between the two? 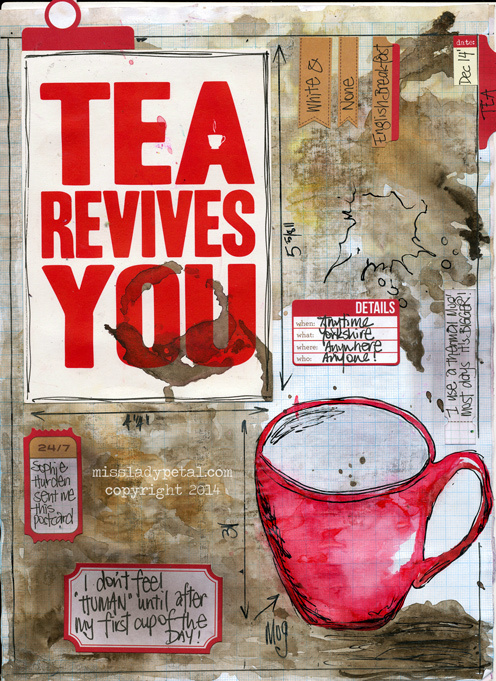 This week’s prompt focuses on our favorite caffeinated, yummy goodness. I couldn’t pick between coffee or tee, so both are present on my page. 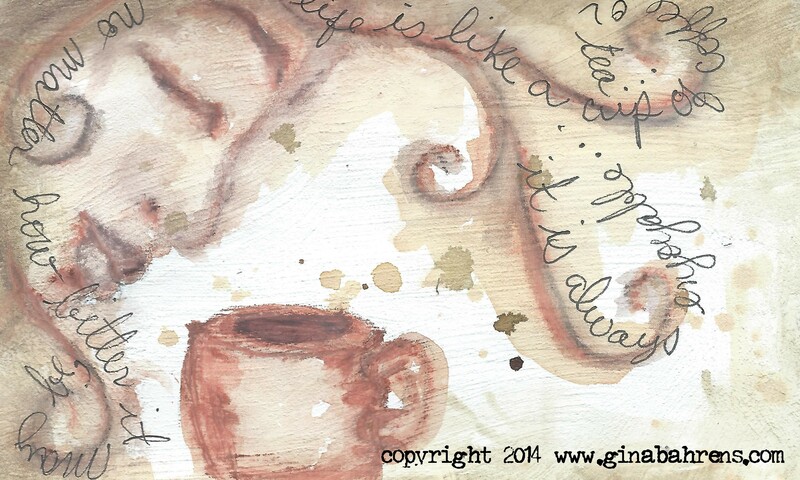 Peta showcases an awesome postcard on her page while Gina actually used coffee and tea to paint her page. Click here to login or subscribe. Click here to purchase JKIS 2015. Win a Year of Journaling Krazy Island Style!